Abilene police have booked a couple into the Dickinson County Jail after finding an active marijuana growing operation at a residence in east Abilene. On Friday, officers executed a search warrant at a home in the 300 block of northeast 3rd street in reference to several recent vehicle burglaries. During the search, police found several stolen items valued around $1,000. Officers also found an active marijuana grow operation. They found 54 marijuana plants along with numerous items of drug paraphernalia related to the cultivation of marijuana. 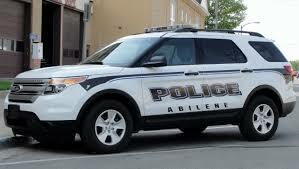 Investigators arrested 33-year-old Leon Houk and 30-year-old Alexandria Houk of Abilene. Both are facing numerous charges related to the possession and cultivation of marijuana. Houk could face additional burglary and theft charges.